I’ll just begin by saying that running in the Disney Princess Half Marathon was everything I hoped for and more. I truly couldn’t be happier with my results or the experience, and even though I am exhausted and sore and possibly injured, I’m mostly just sad that it’s over. I’m going to share all of the details (AND PICTURES) soon, but first, I wanted to write a blog post about my half marathon training process. I still can’t thank my friend Brandi enough for convincing me to register for this thing. 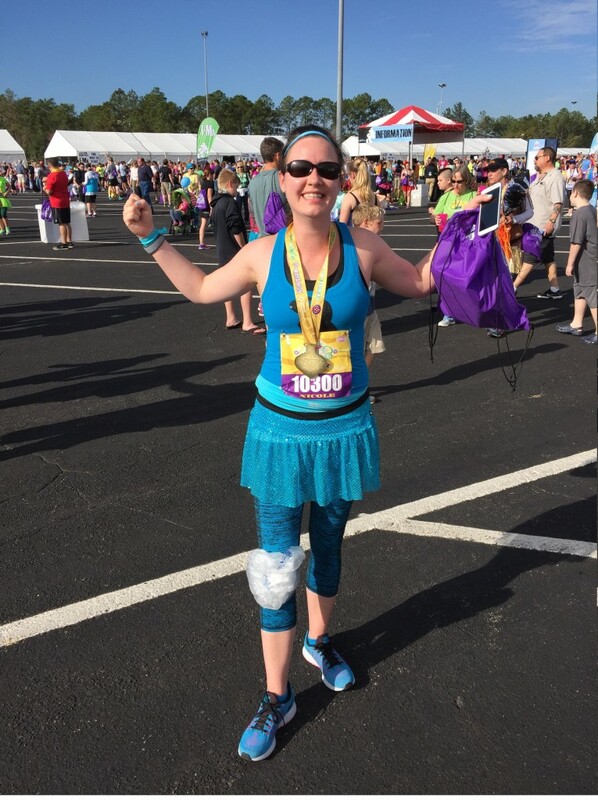 When she asked me to run 13.1 miles with her – my first half marathon – my immediate thought was, YAY DISNEY WORLD followed quickly by, I don’t know if I can do this. I remember almost saying no. I remember almost signing up for the 10K instead, but I did it. I talked it over with Bret and he was completely encouraging and supportive so I registered for my first half marathon. I committed to running 13.1 miles, and then the training began! I started half marathon training back in August. The official Run Disney training program doesn’t begin until October, but at this point, I hadn’t run in years, so I knew I had to start early. 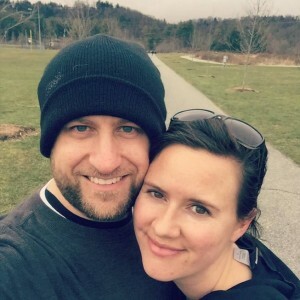 Bret and I started with the couch to 5K app which means we started out running for only sixty seconds at a time, walking for ninety seconds, and then running for sixty seconds again. This is a COMPLETELY FREE APP that you can download using your Smart Phone. It will verbally coach you through each session. 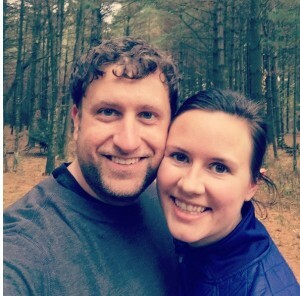 We completed Couch to 5K in October, and by November, I could comfortably run 3 miles without stopping. This is something I hadn’t been able to do in years – 8 years to be exact – so I was psyched about this accomplishment. I thought about signing up for a Turkey Trot 5K (3.1 miles on Thanksgiving), but the logistics of that weren’t ideal for our travel plans, so I decided we would keep training and run a 10K (6.2 miles) in December. By December, we could comfortably walk/run (more running this time) for EIGHT miles, and we were approaching the 10 mile mark. This was huge. I felt like the 13 miles was within reach. I didn’t sign up for a 10K because there were no 10K’s that I wanted to do in 30 degree weather. Plus, I realized that it was too late to submit my time to Disney. (If you submit proof that you can run a 10K in a certain time frame, they let you start the 1/2 marathon in a earlier corral which means your run starts earlier, ends earlier, and is less crowded). I had a few hiccups with the snow and ice, but for the most part, I continued my training. I even got to run on my BIRTHDAY in December because it was so warm when I was visiting family in Richmond. Bret was by my side through everything. He encouraged me when I did well, he motivated me when I felt like giving up, and he joked that the Disney bus was behind me ready to pick me up if I said I wanted to stop running, haha. He also stopped and walked with me when I needed to, and assured me that I could walk at points during the half marathon and still finish the race in time. It was such a fun, healthy thing for us to do together. At the time, I don’t think I realized how memorable the training would be, but now I just feel so happy when I think of us doing this together. I know some people prefer to run alone, but running with Bret was the best thing for me. We also incorporated daily at-home yoga into my training for these last two months. We mostly did the 30 Days of “Yoga with Adrienne on YouTube” this is COMPLETELY free and was a great compliment to running or great exercise for anyone who wants to try yoga. Check it out! I had intentions of running 12 miles three weeks before the race, but after only 4 miles, my right knee starting hurting really badly. So I stopped. I was worried. I had made it through six months of careful, gradual, calculated training without injury, and now, just a few weeks before my race, something was wrong. I elevated and iced and stretched and wore a brace and did everything I could to stay off of it (well, everything you can do when I was commuting to DC which meant walking several blocks to a metro station sometimes with broken escalators… hello stairs!). And it felt better. I was feeling okay. After my injury, I decided not to run anymore until the day of the race. Instead, I focused on building the surrounding muscles and my quads. I kept doing yoga, and I walked a few miles on the weekend before and it went INCREDIBLY well. I was feeling pretty confident …until our second day in Disney when I couldn’t walk down hill without pain(!). I’ll write more shortly about the actual race experience and running in Florida as soon as I have all the race photos to share! 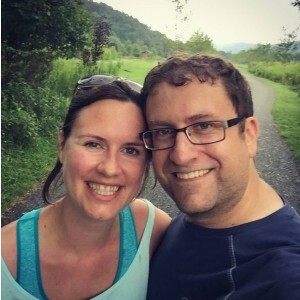 I just wanted to write this post first to say that if you can jog for sixty seconds right now (and even if you can’t), you can work your way up to running a half marathon in six months. And if you’re not interested in a half marathon, there are so many 5K’s (3.1 miles) and 10K’s (6.2 miles) out there, too. I know it sounds intimidating, but I believe you can do it. I’m happy to talk more about my training schedule and experience if you have a questions! This is amazing dedication! You should be so proud!